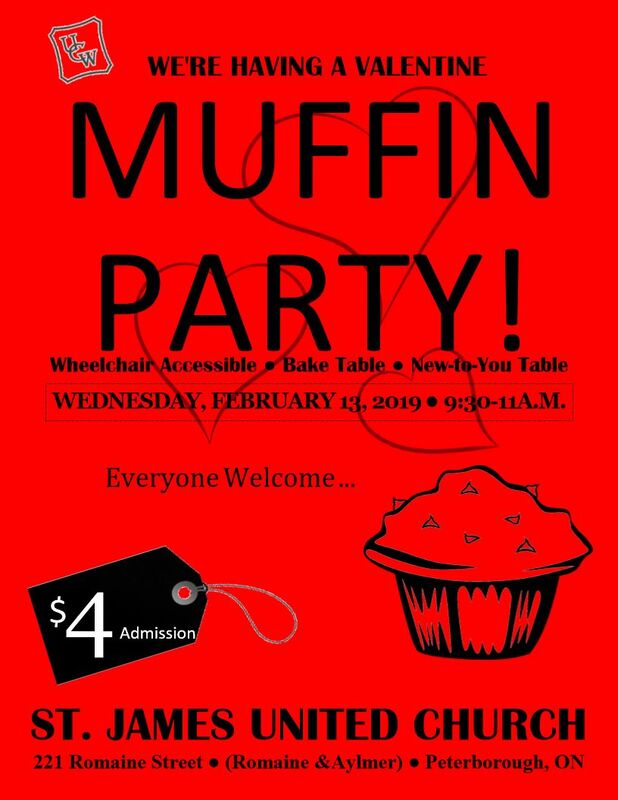 Everyone is welcome to join us at our Valentine Muffin Party. Bake table, New-to-You Table, coffee, tea and muffins. $4.00 Admission.